We hope that you’re staying cool as the summer heats up, and that all of the dads enjoyed a happy Father’s Day! We’re pleased to provide you with more Prostate Cancer News You Can Use . In addition to the following noteworthy information that may be of interest to you, titles of prostate cancer news articles are listed below along with a link to the Us TOO web page that provides access to the full text for each article. Please join us on Saturday, June 23, for Prostate Cancer Pathways for Patients and Caregivers – a new, free educational event and webcast from Seattle. Medical experts will present a brief overview of men’s wellness and health risks including prostate cancer, followed by educational content for managing prostate cancer that’s newly diagnosed, recurring, or advanced. Symposium topics will also include genomics along with psychosocial issues related to coping with the challenges of diagnosis and treatment. Get more information and register to attend in person, or watch the online webcast with live audio and video from the event. A prostate cancer survivor and Us TOO support group leader, Us TOO Vice Chairman Jim Schraidt has been battling treatment side effects for the past eight years. Jim shared his personal experience in a recent post on MedPage Today . Check out cancer.com, a new website with educational content on several types of cancer, including p rostate cancer . 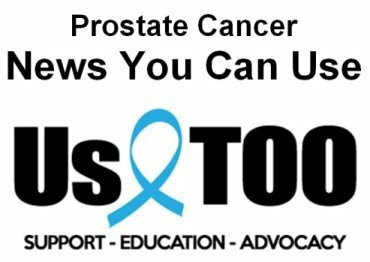 Watch for the July 2018 issue of the Us TOO Hot SHEET newsletter in a few weeks; and let us know how we can help provide you with educational resources, support services and personal connections to others in the prostate cancer community.